Past events and traditions, such as Christmas, were much more suggestive than those practiced today. One of these traditions, that of the 'zampognari', could almost be described as a myth and just one of those important phenomena which today seem to be enjoying a timid but a strong and steady revival. 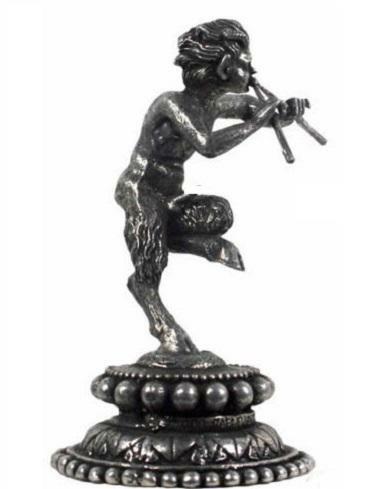 The zampognaro is that ancient mythical figure inextricably linked to that of shepherds and their nomadic pastoral way of life, spent looking after herds of sheep and goats away from home. 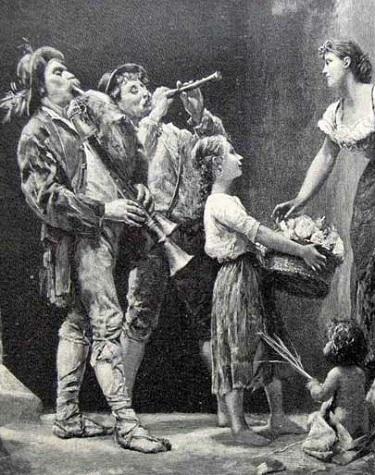 It was customary that each of them brought along an instrument: one would bring the bagpipe, another the shawm, and others yet, the "organetto"
(small accordian), the tambourine, the reed flute, and every young shepherd learned from the older ones. The sound of the “zampogna” comforted them and made them feel at home. Most of the times they made their own “zampogna” using the only material available to them on the mountains. Thus, during rest, when the animals had reached the pasture, between sips of wine and chunks of cheese, a melodic concert would raise up in the air, echoing through the surrounding mountains and valleys below. The serenade of the mountain man to his woman. It was a magical atmosphere, in Southern Italy, when the shepherds came down from the high mountains to the delight of children and adults alike, announcing to all, with the sweet and harmonious sound of their ancient instrument, that Christmas was near. Time to laugh, to forgive and forget, time to be together. Everyone, deep in their own hearts, felt those special times. 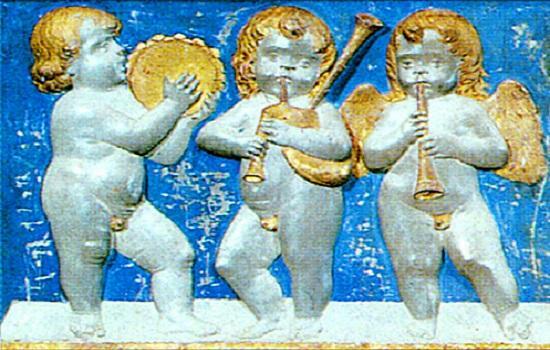 Playing the “zampogna”, accompanied by a “ciaramella” flute (shawm), and sometimes singing lyrics in a duet or reading a pastoral hymn, the "zampognari" present the preserved musical forms and expressions of the original South Italy folklore. It was believed, indeed, that they had inherited the practice of singing and playing from the Angels that sung the first Carol when Christ was born. Those shepherds became then minstrels, poets and singers and they started grouping together so that while a few were performing lyrics, the others were playing delightful melodies continuosly. 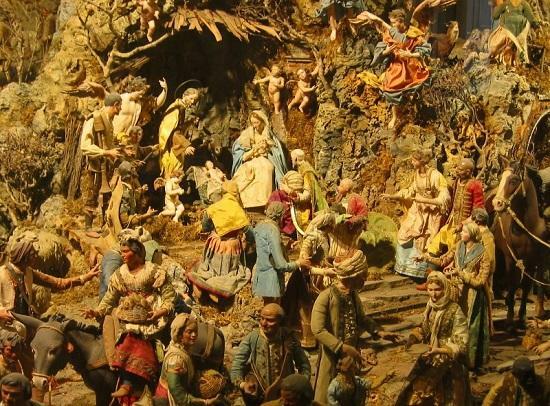 It was during the medieval age that the famous “presepio” practice started to be a custom, approaching the time of Advent and many shepherds where requested to perform in front of the statue of the Virgin Mary or before a “presepio”, which represented the Nativity scene. 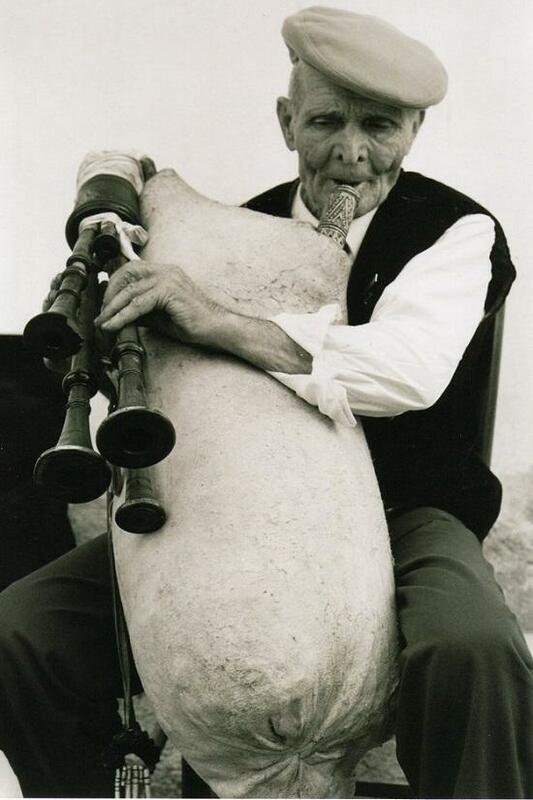 Although globalization is showing its effects also on local traditions, those shepherds have managed to maintain a culture which is considered to represent the true spirit of South Italy, manifested through folk music and its most typical instrument: the “zampogna”. Nowadays the “zampogna” is living a sort of revival in all the South Italy regions as it is considered to be the physical manifestation of the ancient traditions that are particularly felt in this part of the country. A Museum of Zampogna has been created in the town of Scapoli (Molise Region) and many festivals are held at different locations during the year. Associations of pastori-zampognari (shepherd-bagpipe players) are organizing a lot of events where the “zampogna” is considered the most important music instrument. Improvised jam sessions are genuinely exhilarant to listen to...and to watch...a look, a smile and you are in. But,... what exactly is the “zampogna” and where does it come from? 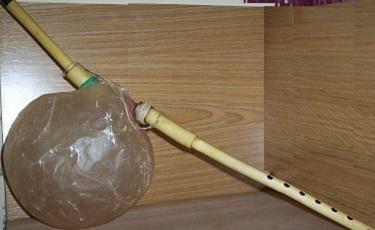 It is a wind instrument made of a bagpipe with drones and chanters, which produces a fabulous melody. It seems to correspond to “the pipe which twitters sweetly” mentioned by Virgil in one of his poems, written during the Roman time. Its sound, which seems to me to be reproducing that of a flock of goats and sheep bleating together, is vibrant, joyful and so harmonious that it resembles a symphonic composition..
A feature length documentary film about Southern Italian culture told through its indigenous folk music. The film focuses on how these traditions are dealing with the rapid changes in local economy and the homogenizing effect globalization has on local culture. Filmed by an Italian-American rediscovering his family's roots, the film takes the viewer on an odyssey through remote regions in Sicily, Calabria, Campania and Molise introducing the people who carry on these ancient traditions that most Italian Americans are completely unaware of. 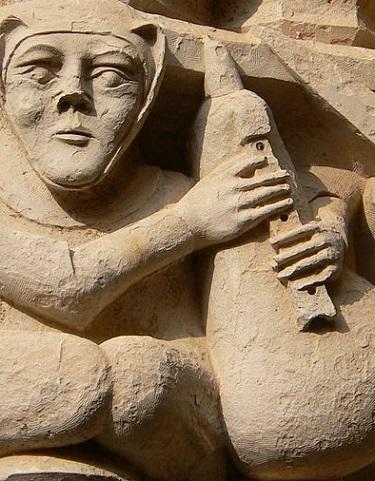 The Zampogna - the Italian bagpipe is the physical manifestation of this culture, its music representing the spirit and vitality of the Southern Italy. 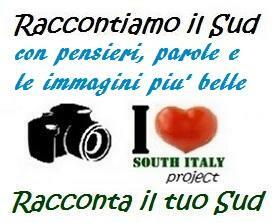 Maria is a certified tourist guide for the region of Campania, with a deep knowledge of its traditions and customs. You are cordially invited to contact Maria for any question you might have regarding this region. She speaks fluently English , Spanish & Japanese. Its origins are uncertain but it seems that the name comes from the Aramaic word sum·pon·yah' (which sounds like the italian word “zampogna”) reported, for the first time, in the book of Daniel (around 500 b.C.) and it suggests a Babylonian musical instrument. 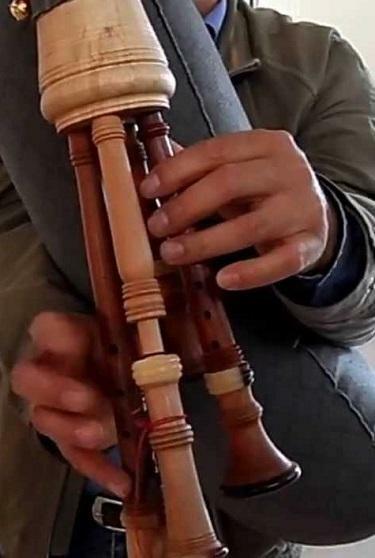 Examples of single/double reed pipes have been found, in fact, in ancient Egypt (Alexandria), in Greece as well as in Magna Grecia, which corresponds to South Italy. 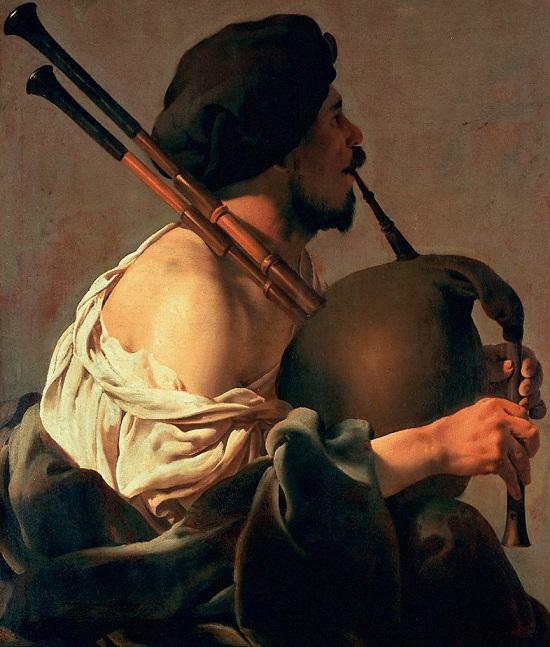 According to Greek mythology, however, the practice of the bagpipe was introduced to please the goddess Athena, who first created the double reed pipe (aulos), but complained because men were making a very ugly face when blowing that particular instrument, due to the cheek distortion when keeping the air inside the mouth for a long time. 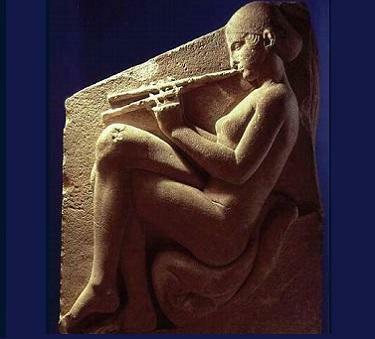 So, to avoid “the reproach of Athena” during those festivities when music needed to be continuous, the Greeks started the practice of applying a bag to reed pipes, in order to make lengthy periods of playing easier. 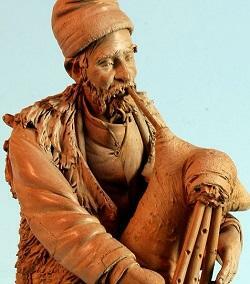 They created then the bagpipe known as the “askaulos”. 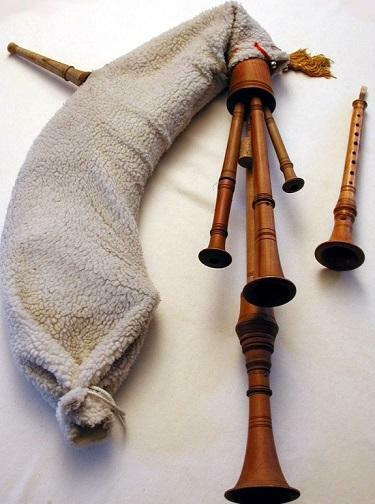 The Romans, who soon became familiar with the bagpipe, called it “tibia utricularis” and they used it during wars as the sound of it frightened the horses of their enemies, but it is its use as an amusing instrument which made it very popular. The Romans introduced the “zampogna” in the Roman colonies and, probably, in Britain too. In fact in this country the bagpipe became soon widespread (although a few british coins found during archaeological excavations prove that the bagpipes were prior to the arrival of the Romans). It was during the medieval age, while spreading all over the world and assuming different names, the that “zampogna” became the most traditional music instrument in Southern Italy, used during festivities, religious manifestations and processions, weddings, friends' gatherings, feasts and parties. During the Renaissance, the “zampogna” was associated with bucolic poetry which represented beautiful rural landascapes, like the greek Arcadia, a sort of ideal place for poets and the mythological home of Pan, the god of shepherds, flocks and rustic music, who is always represented in the company of people dancing, singing and playing flutes and double reed pipes. At the beginning of the 17th century, while reading Luke's Gospel in a chapel of the famous Saint Domenico Maggiore's Church, in Naples, a Domenican Father, Alfonso, had a vision of the number nine written on the book and he interpreted that vision as a special, miracolous message, a sort of invitation to pray for nine consecutive days before Christmas. 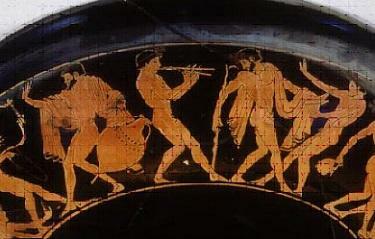 He called this practice a “Novena”, a sort of pray chanted rhythmically and accompanied by the music of the“zampogne”. A few years later Saint Alfonso Maria de Liguori wrote also a novena “Quando nascette o ninno” (when the baby was born) which is considered to be the famous Carol “You come down from the stars” that “zampognari” keep on playing from the 8th of December to the beginning of January when, on the 6th,, the Christmas festivities are closed by the “Epiphany” celebration. The “zampogna” has been a vital element of the peasantry economy for a long time, especially in the regions of Central-South Italy like Lazio, Low Marche, Abruzzo, Molise, Campania, Apulia, Basilicata, Calabria and Sicily. The modern “zampogna” is still made more or less in the same way as its forerunner. 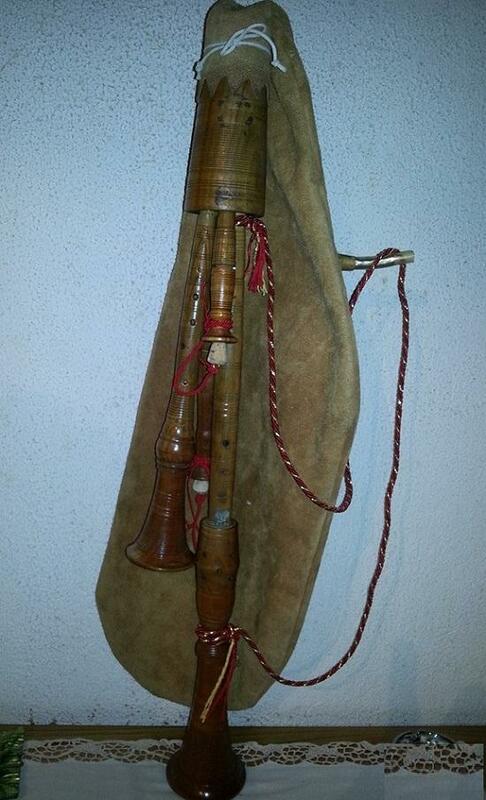 As a matter of fact, it is made of a goat skin or simply of a plastic skin which resembles that of a goat, to which a blowpipe is attached. It has usually two chanters and two drones from which the air goes out propagating the sound. 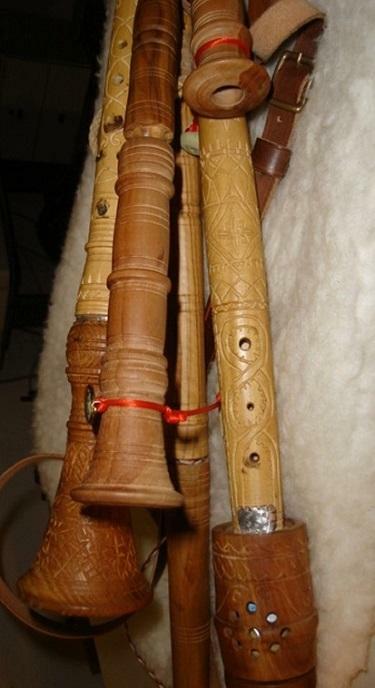 The chanters, which have seven finger holes cut down the length of the pipe, and an additional thumbhole, at the back, generate an octave of notes. The drones, which contain a reed each, produce a continuous sound of two different tones, the bass drone is tuned two octaves below the chanter while the tenor drone is only one octave below. 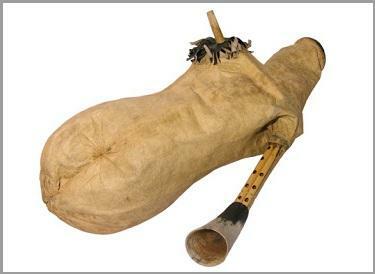 The “zampogna” player (zampognaro) blows a hollow wooden socket, through which the air gets into the bag and, at the same time, he squeezes the bag, kept under his arm, in order to maintain constant air pressure which assures the continuous sound. 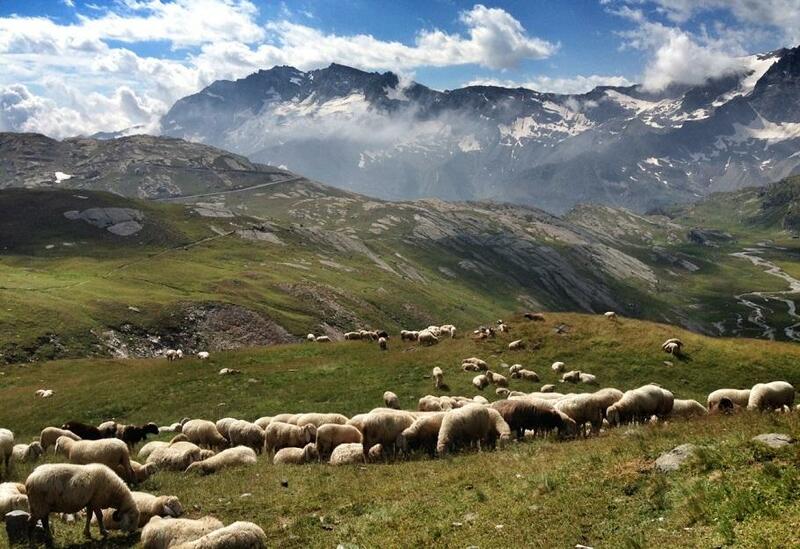 You may want to learn about the "transumanza", the traditional springtime herding of cows and sheep from lowlands to higher mountain pastures , a movement of people with their livestock during the summer and winter seasons. 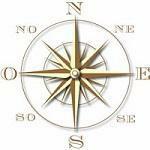 Please contact us for any question you might have about the Zampogna or related issues.